In the field of medical coding, ICD—the International Classification of Diseases—is the system used to code all symptoms, procedures, and diagnoses. Since October 2015, the most current edition of the ICD has been ICD-10, and healthcare professionals continue to adjust to its new classification options. Here’s everything medical coders need to know about ICD-10 and how it works. ICD-9 became obsolete on October 1st, 2015 and is no longer actively maintained. The existing structure of the ICD-9 system placed limits on the creation of new codes, and many of the categories were already full up with codes. Plus, ICD-9 terminology was outdated and the amount of data about patients’ conditions and procedures that could be coded for was limited. For these reasons, a new system was needed. As ICD-9 essentially expired in late 2015, all current medical coding must now be done in ICD-10. ICD-9 codes will no longer be accepted on claims. ICD-10 and CPT are completely separate entities; ICD-10 is for diagnosis codes and CPT is for billing codes. For each insurance claim, both an ICD-10 code and a CPT code will be necessary. If 68,000 sounds like a lot of codes, that’s because it really is. The ICD-10 has a significant number of codes to account for an incredibly wide variety of diagnoses, symptoms, and inpatient/outpatient procedures. A lot has changed (and been added) in three decades! Fortunately, medical coders aren’t required to memorize all 68,000 codes—that’s what the ICD-10 is for. 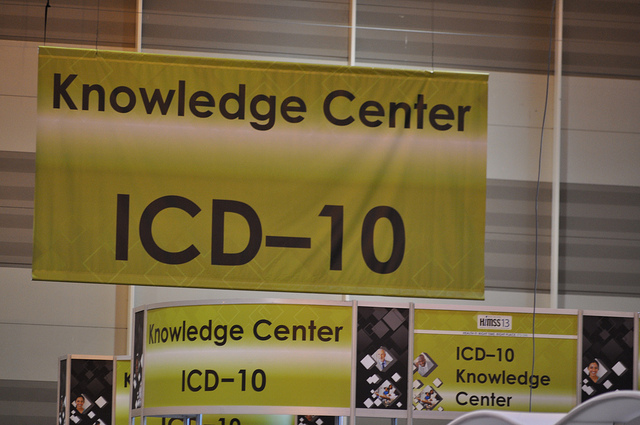 In the United States, there are two different code sets within the ICD-10: the ICD-10-CM and ICD-10-PCS. The ICD-10-CM is for coding in all health care settings. ICD-10-CM, on the other hand, is for use only in inpatient hospital settings. The number of alphanumeric characters in ICD-10 codes also differs from the number of characters used in ICD-9. In the new system, ICD-10-PCS codes use seven characters (formerly 3-4) and ICD-10-CM codes use three to seven digits (formerly 3-5). The emergency department sees a significant number of patients and doesn’t turn people away based on condition. This can lead to a lot of coding, especially since ICD-10 requires more detailed information than ICD-9 did. As such, emergency department staff will have to adjust to balance obtaining more patient information with providing good patient care. The good news is that the additional coding required by ICD-10 means a better quality of care and disease management, as well as improved administrative and system operations. Do you have an interest in the medical field but no interest in working directly with patients as a doctor or nurse? Medical coding could be the perfect career opportunity for you! To learn more about our medical billing and coding classes in NYC, contact ABC Training Center today at 718-618-4332.